What bacteria can honey kill? Yes, it is true. 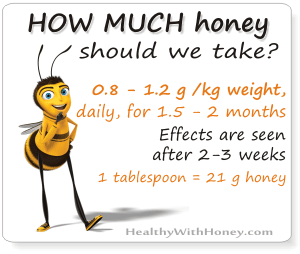 Honey it is not only a sweet food, but also a reliable product that can kill many bacteria. And also fungi and viruses. Microbes, to put it in one word. Its antimicrobial characteristics have long been appreciated and these days scientists have started to research it more as our synthetic drugs cannot keep up with superbugs. “Antimicrobial” is a general term which refers to the capacity of fighting microbes. Microbes include bacteria, fungi, archaea, protists and viruses (only some scientists include viruses in the category of microbes). The antimicrobial effect of honey is due to different substances and depends a lot on the botanical origin of honey. It was reported that honey has been shown to inhibit in vitro the Rubella virus (ZEINA, B etal., 1996) and Herpes virus (AL-WAILI, N S, 2004). It was reported that honey inhibited the growth of three species of the Leishmania parasite (ZEINA, B, 1997). It has an activity against round warms (nematodes) such as Caenorhabditis elegans, which is a free-living, not parasitic, transparent round worm, about 1 mm in length, that lives in temperate soil environments. This was reported in 2012 by M SAJID and M AZIM, M.
Though the studies have not been made on many species of fungi, it was proved that honey is efficient against any parasitic fungus that affects the skin (dermatophytes) and cause what we call “mycoses”. Honey was efficient against fungi from the genera Epidermophyton, Microsporum and Thrichophyton, all species that can affect humans (Molan, P C, 1997). Different types of honey inhibited the growth of 40 yeast strains (Candida albicans, C. krusei, C. glabrata and Trichosoporon spp.). Among these honeys Rhododendron and multifloral honeys have proven to have generally more inhibitory effect than eucalyptus and orange honeys (KOC, A N et al., 2009). Penicillium crustosum, P.expansum, P. griseofulvum, P. raistrickii and P. verrucosum , mostly at concentration higher than 10% – were killed with different unifloral honey from Slovakia (KACANIOVA, M, et al., 2011). Another study showed that a mixture of honey and yoghurt was successfully tested to control vulvovaginal candida of pregnant women (Abdelmonem, A M et al., 2012). ZHAO, X et al. izsolated in 2013 other antifungal peptides from Bacillus BH072, another novel bacterium present in honey (study). The peptide showed antifungal activity against mold such as: Aspergillus niger, Pythium, and Botrytis cinerea. – bactericidal effect – meaning that it is able to destroy it. 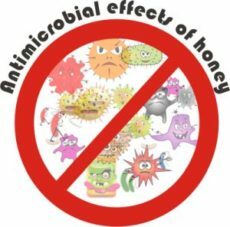 The antibacterial effect of honey was observed mostly against gram-positive bacteria. 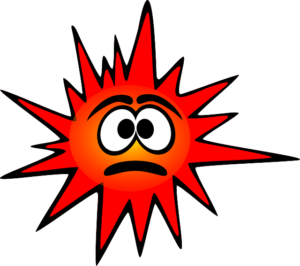 Recent studies made on coagulase-negative staphylococci (e.g. Staphylococcus epidermidis), also showed the efficiency of pasture honey and manuka honey (study). Vibrio cholerae, Vibrio cholerae biotype Proteus. Molan attentions that not all honey samples have the same degree of antibacterial activity, therefore the sensitivity of species cannot be compared using the results from different studies, as the honeys used in the studies may have had widely differing antibacterial activity. According to their composition, some honeys are more efficient in destroying a specific bacteria than others and have as much as 100 times more antibacterial potency. Why is honey such a good antimicrobial product? What makes it like that? 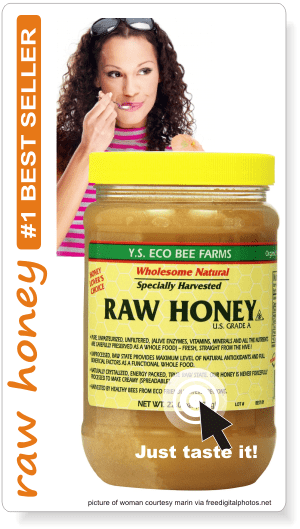 Read the article What gives honey its antimicrobial power? for all the features that give honey its antimicrobial characteristics. See the differences between the features which give this antimicrobial capacity. Manuka honey, Revamil honey, Sidr honey, Tualang honey, Malaysian Gelam honey, Heather honey, Buckwheat honey, Blueberry honey, Fennel honey, Honeydew honey (dark, both coniferous and non coniferous), Jarrah honey, Kanuka honey, Linen vine (Cuba) honey, Marri (red gum) honey, Medlar honey, Maharishi honey, Bashkir honey, Pine honey. 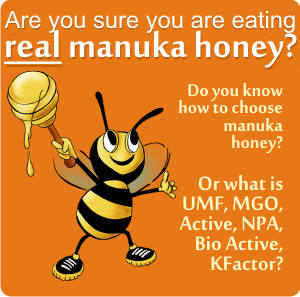 – Manuka honey killed all bacteria. Conclusion: both honeys are efficient. 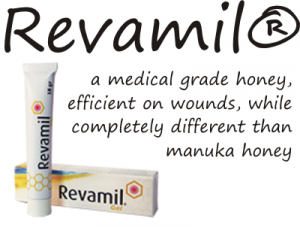 Revamil acts more quickly (in 2 hours) while manuka acts more slowly (in 24 hours). both honeys 100% killed MRSA, MSSA and Pseudomonas aeruginosa. Tualang honey inhibits the growth of several bacterial strains, such as Streptococcus pyogenes, Salmonella typhi, Staphylococcus aureus, coagulase-negative Streptococcus spp., and Escherichia coli. Manuka honey is more effective against some gram-positive bacterial strains in burn wounds. (study). See this picture for a detailed comparison between them. Manuka honey is effective on many bacteria. 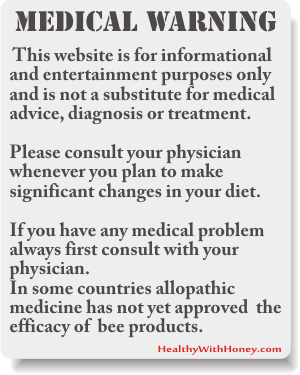 See the article Is manuka honey a natural treatment for MRSA? Is it the best?. Other studies proved its efficiency on Streptococcus pyogenis. Malaysian Gelam honey is better in preventing Enterococcus sp. biofilm fomation, whereas Manuka honey is better at treating it. Greek pine honey is efficient against S.marcescens, and E. coli (with the highest sensitivity compared to other honeys) B. sphaericus and B. subtilis. Jarrah honey, like marri honey, is very effective at inhibiting dermatophyte fungi and species of the yeast Candida (honeys with high peroxide activity). The best way to take honey for antimicrobial results is in combination! 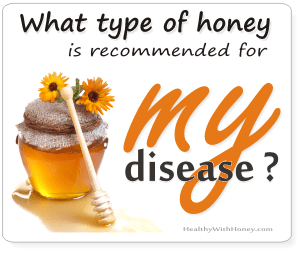 · Honey and onion – amazing results against MRSA, Streptococcus pyogenes and others. See the article: Onion and honey: a natural remedy for bacterial infection! · Honey and black seeds – the black seeds, Nigella Sativa are probably the most amazing product and in combination with honey it gives spectacular results. Arabians think it can cure every disease. and scientists proved its efficiency in fighting HIV and cancer. · Honeys and walnuts – see the article Honey and walnuts health benefits: treat anemia, stomach ulcers, high blood pressure. And make a reliable aphrodisiac! · Honey and turmeric – Sometimes called “The golden honey”. What is turmeric good for? It is said that turmeric can cure over 650 diseases, so imagine the power of it, when potentiated by honey. · Honey, lemon and garlic – All these three ingredients are well-known to be amazing against colds, flue and respiratory conditions. See here how to use Lemon-Garlic-Honey for colds and immunity, but with caution, because sometimes garlic can be deceiving: Garlic – friend or foe? Here are some good recommended honeys, with high antibacterial power: Sidr honey, Manuka honey, Activon – a medical honey perfect for any wound and a regular raw honey for your breakfasts. Stefan Bogdanov, 2014, The Honey Book.